Did you know Namotu Island now offers jet ski hire in the Mamanuca Islands, Fiji? Yes, we now have two Yamaha FXHO cruisers available for hourly, daily or weekly hire to Namotu guests and others. You can book a jet ski during your stay on Namotu or even if you’re staying at another resort such as Tavarua or Six Senses. Jet skis are perfect for foiling, surfing, cruising or tow surfing. 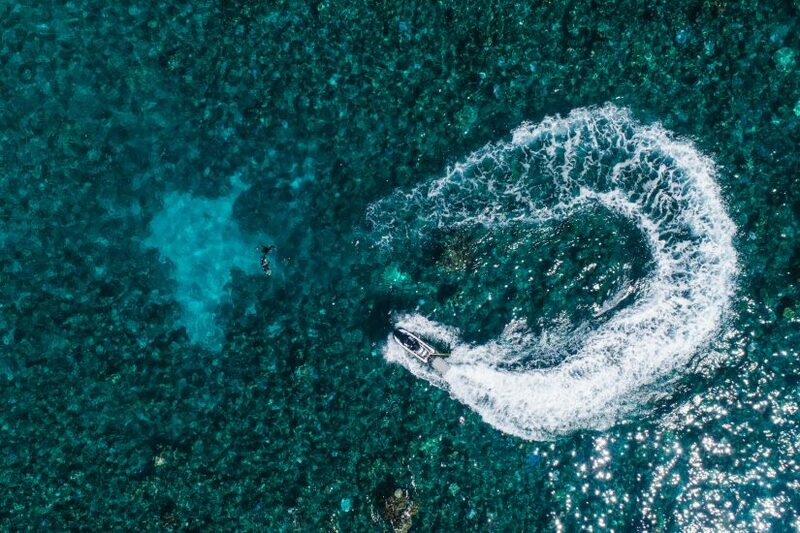 Hire a jet ski for foiling: One of our drivers will tow you into one of the many amazing foil waves surrounding Namotu Island. Jet skis are ideal for tow foiling too! Rent a jet ski for towing: One of our drivers will tow you into waves. Jet skis are great for beginner surfers too as it reduces the long paddle back out and extends time on the water. A few hours of jet ski hire can really extend a surf session and is great for groups. Having a ski in the lineup is also a great safety tool for big wave days at Cloudbreak or even other surf breaks around Namotu. We’ll send out the ski when we deem it necessary for maintaining safety.